Here is a new song we are working on recorded live off the floor in our rehearsal space. We hope to be in studio recording our new 6 song CD in March. Here is a sneak peek! The song is one of two instrumentals on the CD and is entitled An Open Door. Here is my first song post! This song is called Amuseum. I sing and play all the instruments but I believe the bass was played by my brother Tom. This was recorded a few years back so I may have to confirm that. I have always liked this song very much so I thought it would be a good starter! Just to let you know, it seems you have to click it twice to hear it. Enjoy! 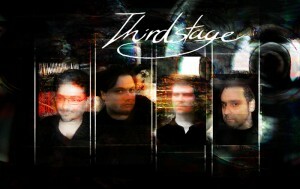 Carnival Part 1 by Thirdstage from Thirdstage on Vimeo.